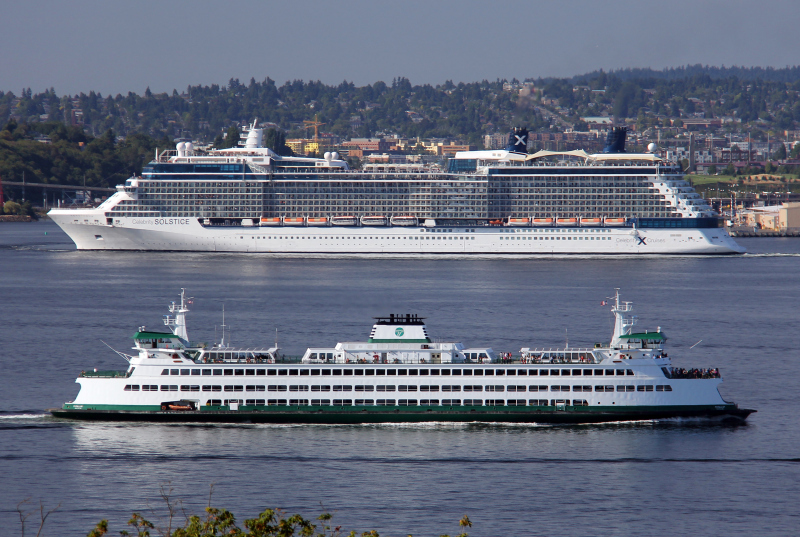 Despite being well into the background, the departing CELEBRITY SOLSTICE (IMO: 9362530) still manages to dwarf the Washington State Ferry PUYALLUP (IMO: 9137363), bound for Seattle's Coleman Terminal. Thanks mrdot. To me the amazing thing is how, apart from Solstice's bow, it almost shares in the ferry's symmetry. wonderful comparision of good looking ferry and not so good looking cruise vessel, a swell post! mrdot.